Know someone who'd like this newsletter? Why not share it with them? And sign up here. We're at the Edinburgh Fringe Festival this year, not just to celebrate our 3-year anniversary (Lily and I are now engaged! ), but to film street performers and to explain how the site works for the hundreds of you who are here. Below is a little sampling of the huge updates we made last week. We've just updated our Website to add Apple Pay. Now, your audience just needs to type your URL, and within ten seconds they'll have tipped you. busk.co has removed all of our fees from tips through the site. So, now you only give up a few percent of your tips to Stripe or PayPal. 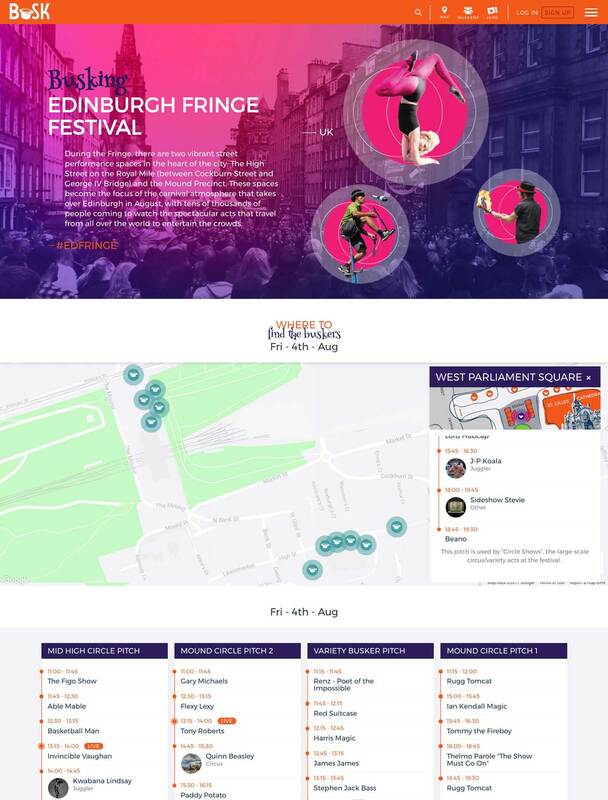 ALL you need to do to be featured on the web page for Edinburgh is to sign up to busk.co (and to the Fringe Festival) and we will do the rest. Know someone who's going to the Fringe? Send them this email. You are receiving this email because you signed up. And of course, you choose Busking too. ‹ Contracts – what is it good for?